I Am was released on April 6, 1999. It was Nas third album after Illmatic (critically acclaimed but low sales) and It Was Written (critically average but sold pretty well). I Am was originally supposed to be a double-album magnum opus, but the changing times did not allow for that to happen. Massive bootlegging and the leaking of album tracks in MP3 format (this was a pretty new phenomenon in 1998) really pissed Nas off and he took tracks off the album, added new tracks, and decided to convert I Am to a single album. As someone who listened to many of these leaked songs (so conflicted), if the original I Am had been released, it may have been better than Illmatic. I believe that was a possibility because some of the leaked songs are among the best songs Nas has made (“Poppa was a Player”, “Blaze a 50”, “Drunk by Myself”, “Fetus”) and in my opinion are some of the best storytelling raps I’ve ever heard. But that’s a blog post for a different day. MTV, VH1, and BET still played music videos. There also a 24/7 music video request channel called The Box, where I first saw the video for “Nas is Like”. It wasn’t requested too often, but the “Hate Me Now” video got played pretty heavily on there. Also, there was the whole Puff Daddy attacking Nas’ manager Steve Stout over the “Hate Me Now” video. The intro – so dark, clips of past Nas songs from “Live from the BBQ” on and perfectly segues into “NY State of Mind Pt. II”, one of two DJ Premier songs, and possibly the best song on the album. “Small World” has amazing storytelling, and a dark beat by Carlos 6 July Broady and Nasheim Myrick, perfectly complimenting the feel and subject matter of the song. “Nas is Like” is the other DJ Premier cut and was the first single, awesome flute samples on the track, and as the first single, did a good job of letting the fans know Nas still had it (although maybe it was a little cruel – I think people thought this being the first single meant the album as a whole would be more underground-y). The final song, “Undying Love”, is another one of the best storytelling tracks I’ve heard. If the original I Am had been released, if it ended with “Undying Love” and began with “Fetus (Belly Button Window)”, well, I can’t think of an album that would have that flawless of a start and finish other than maybe Ready to Die. The thing about listening to an album by someone as talented as Nas is that even if it’s not necessarily his best work, if you listen to it over and over and over again (yes, I’ve listened to this album a lot), you hear things, and feel things, and notice new things all the time. Which is why even though I have a lot of problems with the following songs, I still consider them good, some almost great. Hate Me Now (featuring Puff), Favor a Favor (with Scarface), and Life is What You Make It (with DMX) just don’t have the same feel as the true stand-out tracks on this album. Life is what you make it seems kinda forced, like it was made simply because DMX was big at the time (I realize they starred together in the movie Belly and were probably friends). The Scarface collab seems a little forced, regional integration kind of music – I say that even though I like the song, and I consider Scarface and Nas’ “In Between Us” from a few years later to be one of my favorite songs ever. Enjoyable track, but being critical, it just sounds like some of that late ’90s mafioso Scarface imagery that was all the rage in rap. Hate Me Now just consisted of three Nas verses that I felt were nowhere near his best or even particularly average. 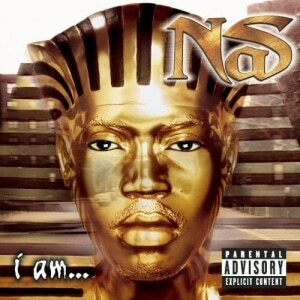 Nas doesn’t often sound generic, but this (and quite a few songs from his next album, Nastradamus) are like that for me. Now I complained about the above songs, but I actually do like them and would never fast forward or skip them for any reason. “We Will Survive”, “You Won’t See Me Tonight”, “Big Things”, and “K-I-SS-I-N-G” aren’t on that same level. The tracks in the last paragraph all have flaws, but none big enough to really inhibit my enjoyment of the album. Here though, “We Will Survive” just has what I feel is a super-corny Kenny Loggins sample (ugh, Trackmasters), “You Won’t See Me Tonight” sounds like a forced commercial record (RIP Aaliyah), “Big Things” has Nas trying to do his best Twista impression (spoiler: he’s better with his normal flow), and “K-I-SS-I-N-G”. Actually, if “K-I-SS-I-N-G”‘s chorus didn’t exist and it was just the R. Kelly sample, it probably would’ve been up in the previous category of good but not great songs. Going somewhat critically over the album as I’m doing here forces me to rate it somewhere between 3.5/5 or 4/5. But it’s one of my favorite albums – ever. I listened to I Am atleast once a month from when I was 12 years old to when I was 18 and it both means a lot to me and brings back a lot of memories. My original cassette tape got flooded and thrown out in Hurricane Katrina and all I have is these horrible clean-sounding, digital-y MP3’s of the album to listen to. It almost feels as if the album is lacking something without the tape hiss. Nas’ best music either makes me feel like I’m living right next to him in the Queensbridge projects, or he tells stories with themes that are universally-relatable, and that brilliance is on display in I Am. Not consistently. But it’s there.